For aficionados of excellent citrus, you’ve got to try SUMO Citrus this winter. Think of it as a “Sushi-grade” citrus snacking delicacy, in season from California from mid-January through March! SUMO Citrus tastes very sweet with deep acidity and amazing mandarin flavor. They’re juicy without being messy. SUMO Citrus: A Winter Delicacy! SUMO Citrus remain rather expensive compared to regular mandarins or regular oranges, and they’re not the easiest to find. BUT if you’re a fan of really great citrus I hope you score some and enjoy them this February. 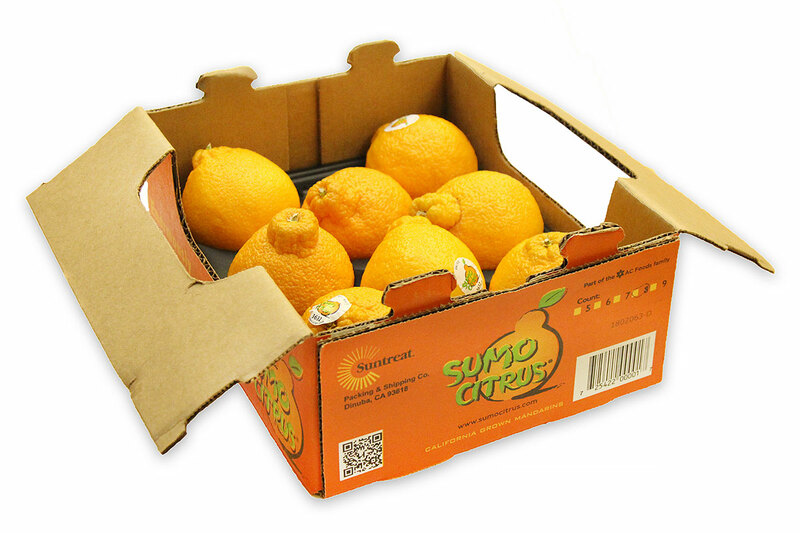 SUMO Citrus is a special variety developed in Japan with large mandarin and some orange parentage. The fruit has a distinctive knob at the top and pebbly orange skin that is easy to peel. Inside, the flesh is seedless, extremely sweet and full of delightful mandarin taste, and it sections nicely. 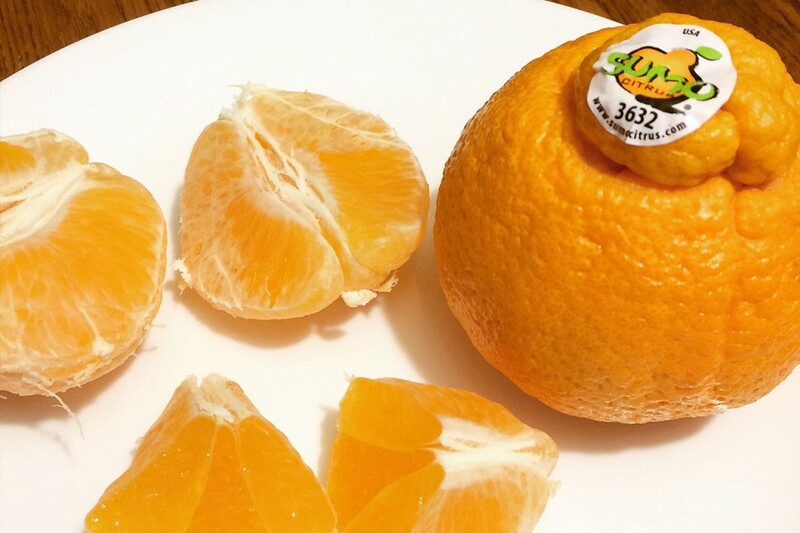 SUMO Citrus, aka Sumo Mandarins, have outstanding flavor and the juiciness is greater than a Clementine but not as juicy as a typical Navel Orange – so they’re perfect for snacking without the need for a knife. 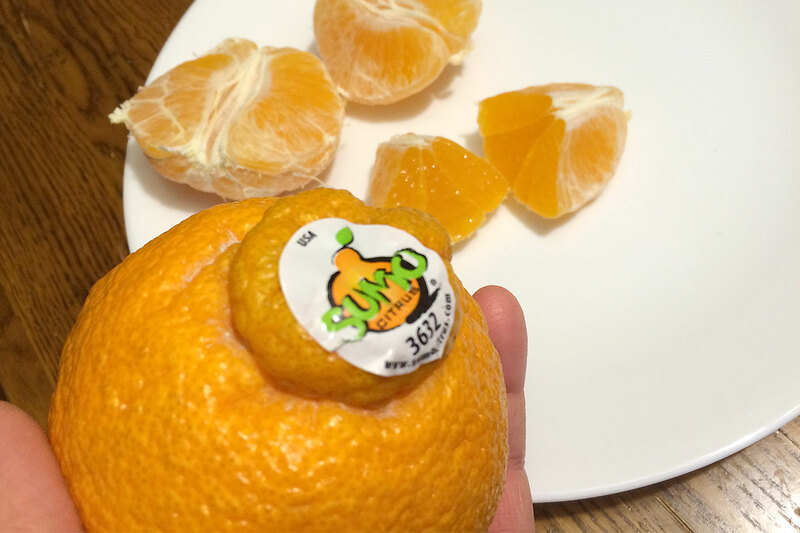 SUMO Citrus remain rather expensive compared to regular mandarins or regular oranges, and they’re not the easiest to find. But if you’re a fan of really great citrus I hope you score some and enjoy them this February. I’m in a nice two to three a day regimen right now – and loving it! SUMO Citrus, aka Sumo Mandarins, have outstanding flavor and the juiciness is greater than a Clementine but not as juicy as a typical Navel Orange – so they’re perfect for snacking without the need for a knife.